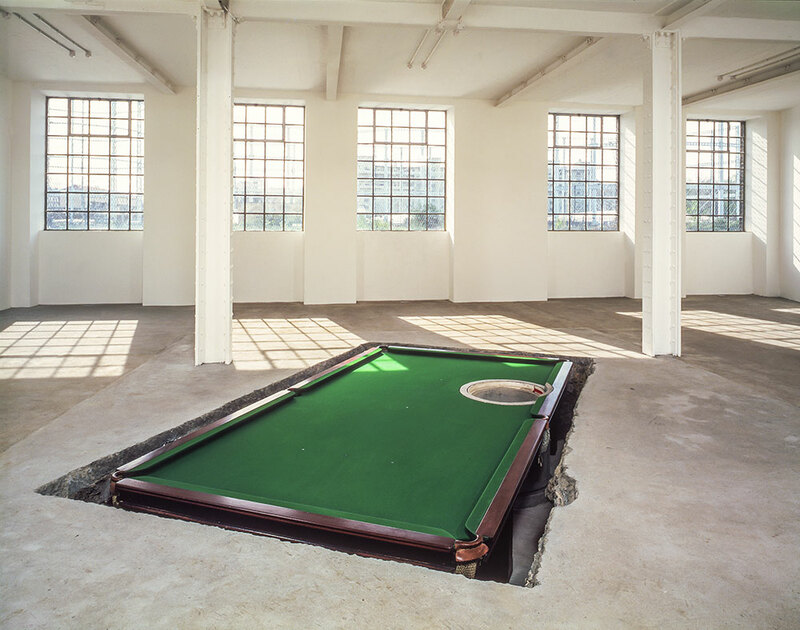 CA full size billiard table was placed in a hole excavated in the floor of Matt’s Gallery. 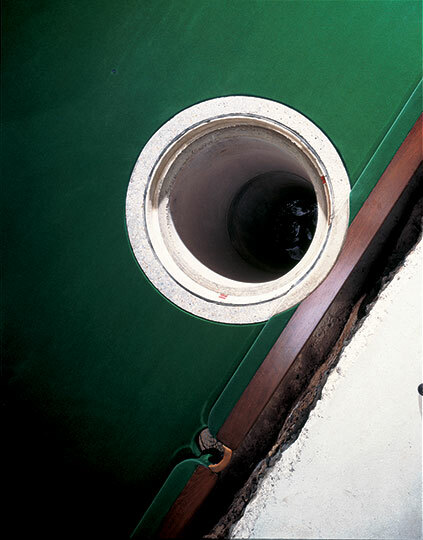 A 28-inch concrete drainpipe was sunk through the table and the ground beneath until it met the natural water table 4 metres below the building. Twin motorised paddles disrupted the water at the base of the pipe creating an intermittent gurgling noise.